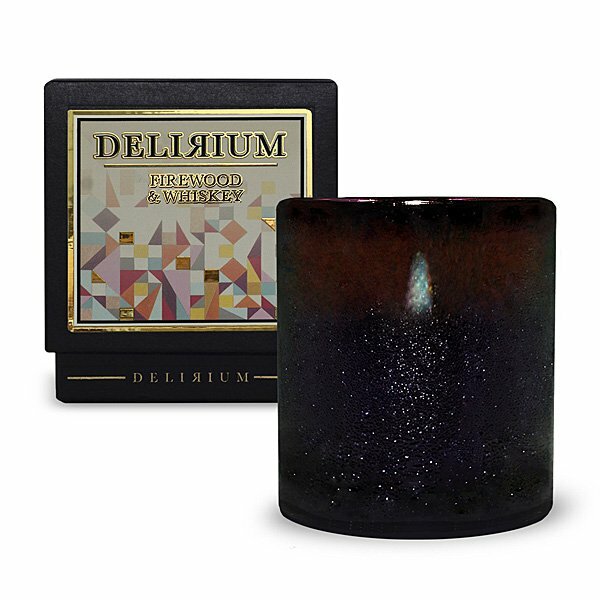 Delirium Firewood & Whiskey Candle is a torrid masculine explosion of firewood, whiskey, incense, amber, musk, Mandarin and spicy cinnamon. Whiskey on the rocks on a winter's night. NEW BIGGER SIZE AND LONGER BURN TIME!